My requirement is to flush the contents of all the files in a single file main.js, such that the content is appended and not overwritten. 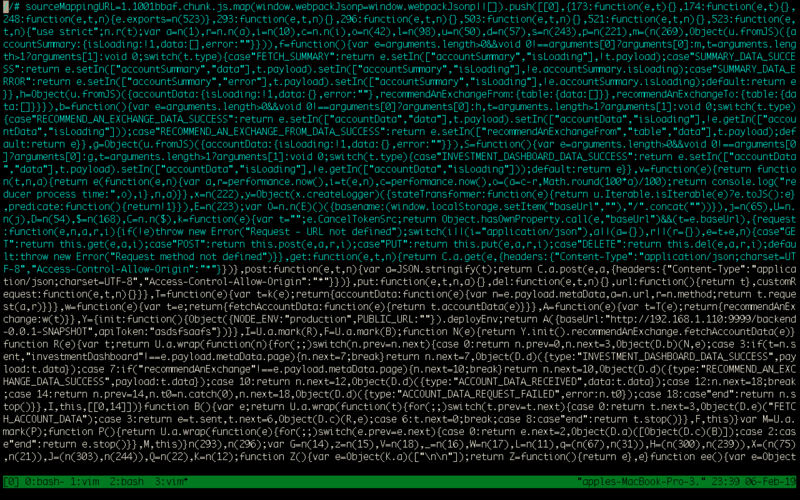 Now the entire line is a comment in vim text editor and everything beginning from this line is a comment in Atom text editor. The default behaviour of my Vim text editor is that if I press o in command mode and if the last line was comment //..., the new line begins with //. 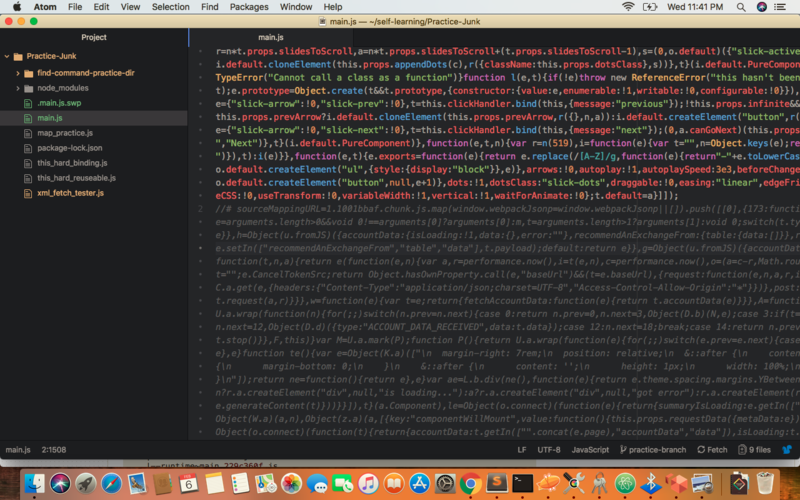 I don't know exactly how to deal with the files ending in commented lines. I can think of things like: appended contents of next file beginning on a new line or to delete the last line comment. Restriction is to use bash only. The last line of your file doesn't seem to end with a newline. That's why the last line of one file gets combined with the first line of the next file. The script doesn't check if a file ends with a newline or not. If a file ends with a newline it will be followed by an empty line. It will work with GNU sed; I'm not sure about other implementations. except for the last line: sed ';' will not append a <newline> after the last file, if missing, while this loop will. How do I filter a list of files for text only files? Where shall we place the commands for parsing command line arguments in a script?